book birthdays, book trailers, book publishing deals: Oh My! My blogs for the last two months have been depressing, I know. That’s because I’ve been depressed. Sorry 😦 Despite continuing to cope with sadness over losing my closest friend, there are some wonderful things happening on the book front. My friend would chastise me if I was too busy missing him to properly celebrate the positive in my life. He was constantly urging me to smile more and be happy. As a result, my blog this week will focus on all good things. Hooray! 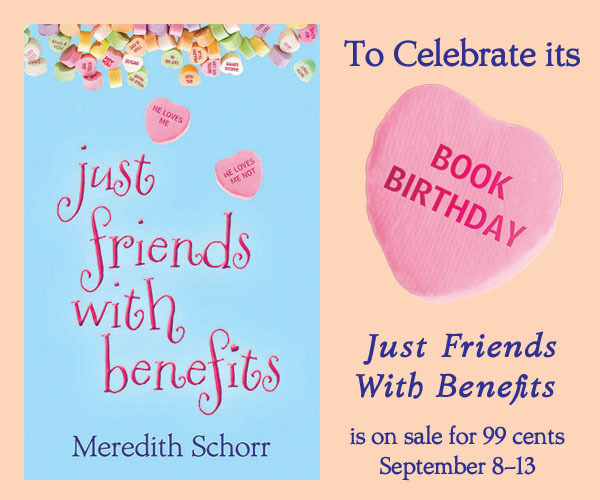 First off, my debut novel Just Friends with Benefits is celebrating two birthdays this month. You might be asking how one book can have two birthdays. The answer is that the book was originally published by Wings ePress on September 1, 2010. After requesting the rights back, it was re-released by my current publisher Booktrope on September 2, 2013. Woila—two birthdays! I’m thrilled to report that since being re-published, it has sold over 12,000 copies! In honor of the birthday(s), my publisher is reducing the price of the ebook to 99 cents on all platforms from September 8th to September 13th. Spread the word if you can. Happy Birthday to my Book Baby! That’s all for now. Thank you for your continued support of my writing and I will keep you posted as this unfolds! I wrote a blog a couple of weeks ago counting my blessings. As most of you know, I lost someone I loved dearly to cancer this summer and finding happiness has been a challenge. I hoped outlining some of the wonderful things in my life would help with the grieving process, especially since my late friend always urged me to focus on the good. If you read the blog, you might have noticed the absence of “good health” on the list. 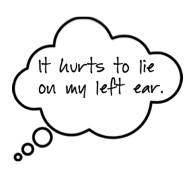 This was not a mere oversight, but a purposeful omission as I was afraid being healthy was not something I could count among my blessings and didn’t want to jinx myself. I had my annual mammogram in late June. Although the mammogram was normal, it was suggested I have an ultrasound because cancer is difficult to detect in a mammogram on someone with “dense” breasts like me. The ultrasound picked up a minuscule (less than .5 millimeters) spot on my right breast and although the doctor who reviewed it was not concerned and instructed me to schedule another ultrasound in six months merely as a precaution, my own doctor thought it would be prudent to see a breast specialist for a second opinion. Although my doctor assured me that consulting a breast surgeon was merely a precautionary measure due to the density of my breasts, and the likelihood of it being anything serious was very slim, I freaked out. My best friend died of cancer only a month before. My newsfeeds lately on Facebook are littered with friends mourning the sudden and tragic death of friends who were seemingly healthy only a short time ago. How could I be so confident my friends wouldn’t be posting these things about me? My fourth novel is set to be published on December 2nd and as excited as I am to release this book, I worried I wouldn’t be around by then. What if the cures for cancer, i.e. chemotherapy, resulted in my organs shutting down like what happened to my friend? I knew I was getting WAY ahead of myself and was told as much by others, but I was seriously spooked. This is why I didn’t feel comfortable including “good health” among my blessings. My mother offered to tag along to my doctor’s appointment as moral support, an offer I eagerly accepted. We discussed having lunch afterward and making a day of it. I also had dinner reservations with some friends that evening and had taken the following day off from work. I tried to look forward to the long Labor Day Weekend and the fun plans I had made, but it was difficult with the weight of my doctor’s appointment on my shoulders. The location of the doctor’s office inside the cancer center at Beth Israel only added to my fear. My mother tried to make conversation while I completed a questionnaire rivaling the eHarmony application in length, but tears were already forming in my eyes and all I could think about was my friend Alan and how much I missed him and hated cancer for taking him from me. I used to say I would follow him anywhere, but I meant in the physical world. As much as I miss him (terribly and constantly), I’m not ready to die. But neither was he. 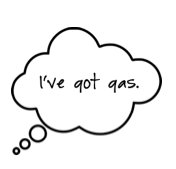 These were my thoughts as I waited alone in the cold examination room. After careful review of the ultrasound results and a thorough clinical breast examination, the breast surgeon assured me the tiny spec located on the ultrasound was nothing of concern and sent me home with instructions to simply keep the six month follow-up as originally directed. She further appeased me by saying even a six month appointment instead of the usual year was probably being overly cautious. When I returned to my mother in the waiting room, she knew I was okay by the huge smile of relief on my face. We embraced fiercely once we got outside and I told my mother I could now add “good health” to my blessings. I only wish my dear friend was as lucky. While I continue to mourn him daily—not a single day has gone by when I haven’t cried over his death—I am forever thankful that, at least for now, I can begin to truly appreciate the good things in my life and look forward to what I hope will be a long, healthy and happy one. I know it’s what he would want too.